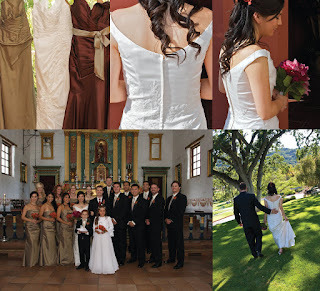 I fell in love with the whole planning process of putting on a wedding. I loved scouring the internet, magazines and stores for ideas to incorporate into our special day, everything from the venue and church down to the tiniest of details. 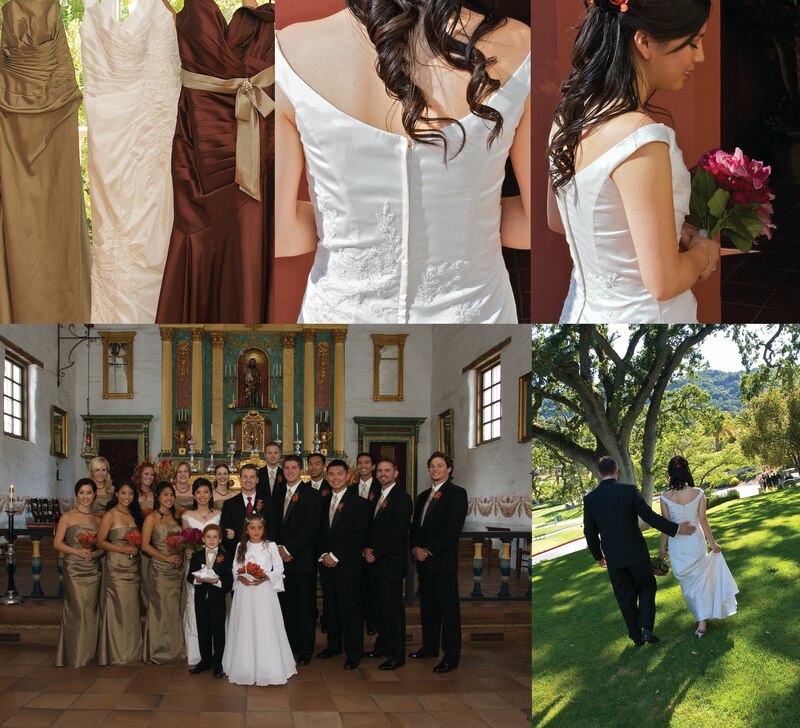 We were married at Mission San Jose and the reception was at Castlewood Country Club in California. Below are a few pictures of my wedding day. My colors were red, bronze, cream and black. 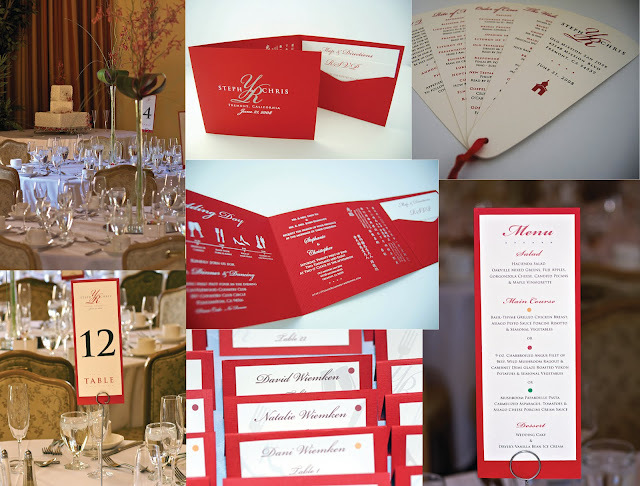 My best friend Priscilla took all of my ideas and incorporated them into the design of everything from my monogram to my table menus. It was an amazing day and we were surrounded by our family and friends.